Johnson & Johnson has, as expected, wrapped up the deal to acquire Actelion in a deal worth $30 billion, working out at a deal of $280 a share. The deal excludes the R&D unit of Actelion, which will be spun out into a new publicly traded company, named R&D NewCO, under the leadership of Actelion founder and CEO Jean-Paul Clozel. 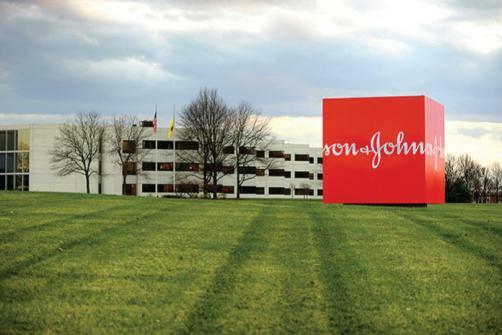 The deal sees J&J bolster its rare disease portfolio, particularly with Actelion’s products for pulmonary arterial hypertension that J&J sees as complementary to its current portfolio. As mentioned, the R&D department of Actelion will become its own entity but one in which J&J will have a 16% stake of. On top of this, it will hold rights to 16% of the company’s equity in a convertible note and an option upon one of the newly formed company’s pipeline treatments, ACT-132577. The medicine is being developed to treat resistant hypertension and is currently going through Phase 2 trials. The successful agreement upon the price of Actelion, barring any shock changes, will bring to an end the long-running story of the latter end of 2016 as Actelion tussled with both J&J and Sanofi over price. Initially, it was reported that J&J had had an offer of around $260 a share rejected in early negotiations, which allowed Sanofi to step in to offer an alternative deal. However, Sanofi’s deal included payment clauses that were dependent upon the successes of certain pipeline drugs, known as a contingent value right (CVR), that dissuaded Actelion from pursuing the deal further. This allowed J&J to step back into the ring with an improved offer, $260 to $280 a share, that sealed the deal. The value of the acquisition is already being questioned as being overpriced, especially as the R&D department is not included in the deal. However, it represents a trend within the industry, as mergers and acquisitions have become integral to larger companies’ growth so the prices of those mergers have increased. This has been witnessed in deals such as Teva’s acquisition of Allergan Generics for an eye-watering $40.5 billion in 2015, which made Teva the largest generics company in the world whilst facing strong criticism that the deal was vastly overpriced. Gorsky’s observation on the value of the deal can perhaps be placed in the context that the acquisition, in an all-cash deal, represents 10% of its market capitalisation and puts to use its cash reserves held in Europe. The deal is expected to complete in the second quarter of this year.